1. View all upcoming events and activities campus-wide in a powerful, centralized platform and easily find any event happening on campus. Get the latest information on the go, at any time. 2. Create events and increase opportunities for involvement. Groupment simplifies event creation, organization and promotion, resulting in more events being created. With more events comes more traffic to the calendar, yielding high visibility, a huge, successful networking effect and more incentive to post new events. 3. Check out only the events that match your interests through Groupment’s powerful filteringsystem: in one click, see only your group’s events, events based on a particular topic or type, or just the events for which you have registered. 4. Quickly register to any event on the calendar. Just mouse over the event and you can see both the attendees and an RSVP button to register for the event. 5. Access the calendar on your preferred mobile device. On dedicated iPhone and Android apps, you can view all events on campus and register in one click. 6. 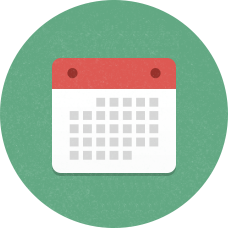 Synchronize your school’s calendar with your preferred personal calendar tools (such as Outlook, Google Calendar and iCal). A huge plus is that you don’t have to synchronize the entire calendar: Groupment's starring system allows you to star any events you like, which updates on your phone within seconds. This is a great way to customize your event experience with Groupment! 7. Cater to potential IT readers. Groupment provides two different formats for event feeds (RSS and ICS) and can provide custom RSS feeds for your campus. 8. Customize campus processes for event creation, requests and approval. Set up unique privacy settings and custom surveys and formsto collect information you would like to require from groups creating an event. 9. Track student involvement and timesheet hours through event card swipe technology integrated within the Calendar module. Know who registers for an event and attends, and the number of participation hours each student accrues. 10. Increase event attendance and student engagement through high visibility among students and a full suite of innovative event promotion tools. For more information on software integrations, please do not hesitate to contact us or to request a demo.